Is your home at risk of foreclosure? Thankfully, you’ve come to the right place. Now is the time to let out that sigh of relief, because Pujol Law Group is here to protect your rights, and provide you with the best options for your circumstances. Foreclosure happens to people and properties, every single day. It’s a legal process by which the owner forfeits all rights to the property. Since this is a legal process, we suggest that you understand the foreclosure alternatives available to you, before taking any further action. Call us now to reserve your FREE consultation, to discuss your rights, and how we can help. Chances are, you took out a loan for your home/property. This loan amount is owed, plus interest, to your lender. Whatever the reason may be, your mortgage payments are not being made on time. At Pujol Law Group, we understand that hard times have landed you in this position, and we don’t want you to have a hard time getting out of it. Pujol Law is here to take the stress away, and remind you that you have options. When you fail to make your mortgage payments, your lender has the right to auction or foreclose your home/property. If your home is auctioned, the money from this auction will be used to compensate the lender/investor. In the event that the foreclosure sale of the home is not able to recover the money that is remaining, the home buyer could have a deficiency judgment held against them. Don’t worry, we’re you’ve come to the right place. 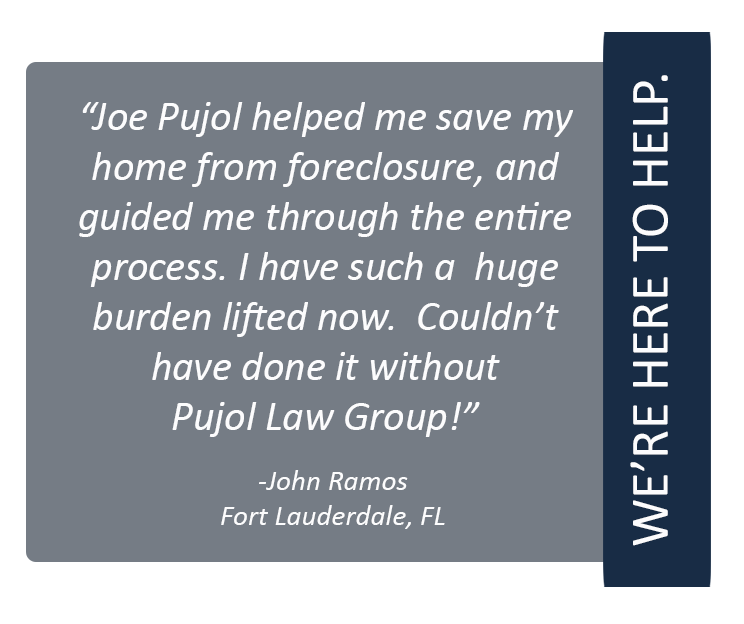 The Pujol Law Group specializes in Foreclosure Prevention. We can, and will, help you in your real estate legal matters. Give us a call for a FREE evaluation of your case, (305 447-0059). The reason that you’re in this situation isn’t our business. Our business is to get you out of it, safe and sound. It’s important that you act now, to save your home and your future. Having bad debt, and a foreclosure and deficiency judgment hanging over your head can cast a very negative light on any later attempts at applying for credit. Foreclosure is an overwhelming process. With the right help, guidance, and representation, Pujol Law Group can get help you relax again. There are a few options that you can look into before foreclosure becomes unavoidable. Let us discuss those options with you! These are juts a few of your many options, before foreclosure become your only way out. We would love to discuss this with you further, during your FREE consultation. Please fill out the form below, and a friendly customer service representative to call you to schedule your consultation within 24 hours. We can also help you with your credit picture. 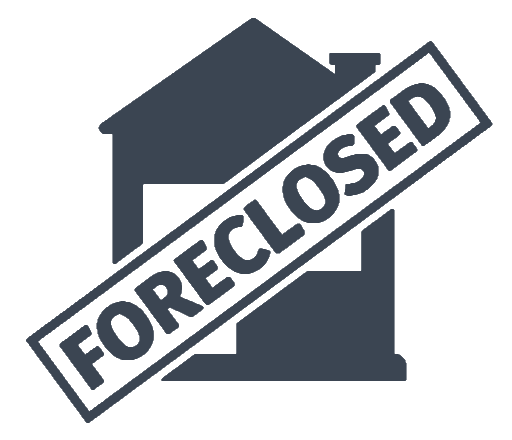 Call the The Pujol Law Group today to discuss your foreclosure options, and your legal rights. Our friendly and helpful customer service agents are standing by.